This artificial ground plane, allows you to put an aerial where you would not normally be able to get a metal-to-metal connection between the aerial mount and the vehicles' body. 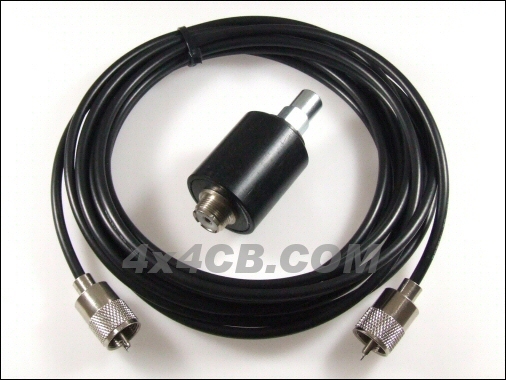 It has the added advantage of isolating the aerial system from the vehicle, helping to get rid of some interference (i.e. in modern tractors etc). We have sold these Artificial Grounds to be used on boats, vehicles, houses, portacabins, wheelchairs, bicycles, motorbikes, backpacks and more!! The EGP is not suitable for very long or rigid aerials as it's pretty strong but not very strong. It is suitable for both large or small springer aerials. While it will cure any SWR problems due to lack of a good earth, the usual rule of "no metalwork close to the aerial" still applies, so if your aerial is being thrown out of tune by objects close to it - this will still happen with the AGP.